Autodesk’s automotive vision is to help customers to design, visualize, simulate, and build the best cars in their class. Autodesk® VRED™ software products offer tools for high-end visualization and virtual prototyping, addressing key workflows for the visual exploration, evaluation, and communication of automotive design. The VRED data format and high-fidelity content support efficient visual communication throughout the enterprise all the way from styling and design through virtual design validation into marketing media production, online sales configurators, and point of sale solutions. VRED enables you to envision and validate your design ideas throughout the product development process and helps you to shorten the overall time to market for compelling, high-quality automotive products. Benefit from the photorealistic quality you can achieve with all VRED products. Base difficult design decisions on realistic parameters, with 3D models that depict accurate physical characteristics of materials and lights. Define camera viewpoints, or use 3D environments and 2D back-plates to explore, evaluate, and present your digital design in the appropiate context. Features in Autodesk® VRED™ Design and Professional editions include real-time design reviews, interactive aspects for design selection, and tools for exploring and communicating alternatives (color material variations, shape, look, etc.). Design reviews available on the desktop or as interactive Virtual Reality. Efficiently use your virtual prototypes to evaluate the look and feel, functionalities, and feasability of your designs while saving time and money by implementing enterprisewide visualization. Easily share data based on the highly integrated workflows with Autodesk® Alias® software, Autodesk® Maya® software, and many other Autodesk and third-party solutions. Validate your design with Autodesk VRED software through powerful design evaluation tools, such as surface and and gap analysis, cross-sections, and interactive measurements. Accurately evaluate surface quality and fit with Autodesk VRED Professional through interactive NURBS rendering, providing pixel precision display directly from the original CAD geometry. Display your full engineering data sets in real time through one of the most powerful render engines on the market. Scale your performance and efficiency by adding the optional offline or online cluster module (offline clustering is integrated In the Professional edition, but optional for the Design edition). Move from physical to virtual prototypes to evaluate the look and feel, functionalities, and feasability of your designs while helping to save money and time. Data and content can be reused to ensure a consistent appearance throughout the product development workflow. 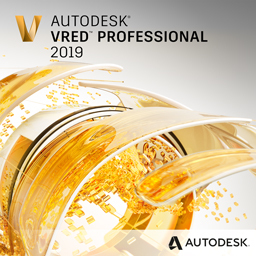 Lighting simulation based on photometric and measured light sources, even supporting spectral rendering, makes Autodesk VRED Professional a highly competitive tool for efficient lighting visualization and analysis workflows. Autodesk‘s focus is to provide integrated visualization workflows to enable reliable decision making based on digital design data, to support efficient design communication between teams and suppliers, and to compellingly promote the design to internal and external stakeholders all the way to the end customer. Create animations and use variants and variant sets in Autodesk VRED Design and Professional to present different configurations of your 3D model. Easily present your design on a powerwall or a CAVE using the optional Display Cluster module for Autodesk VRED Design, which is already integrated in Autodesk VRED Professional. Use the high-end imagery created with Autodesk VRED software for web and other marketing activities. The high quality of your visual assets and the integrated postprocessing pipeline meet CGI standards. Help your customers to make better purchase decisions by offering them online or POS configurators that present the different variants of a model and the diversity of your products. Autodesk® VRED™ Server software offers the latest streaming technology. It provides 3D imagery rendered on a server or local machine. Benefit from next-generation 3D product presentation technology with Autodesk® VRED™ Presenter software, and show your imagery at a POS or use it for websites or other offline sales tools. If you’re interested in viewing a software demonstration of Autodesk VRED, please contact our sales team. Applied Engineering is happy to schedule a face-to-face or web demonstration at a time that is convenient for you. Contact us if you’re interested in purchasing Autodesk VRED. An Applied Engineering technology sales consultant can normally have a quote to you within hours. Applied Engineering is authorized to sell Autodesk products throughout the United States and has offices in Minnesota, North Dakota, South Dakota and Wisconsin. We offer an exciting career where you can work in a collaborative team environment, solve complex and interesting problems, and learn and develop new skills through a variety of projects. If you have the desire to help our customers achieve more and reach greater success, see how you fit at Applied!